Doing what you love can range from cooking your family breakfast to performing on stage in front of millions of people. Not many people know this but Callie and I once snuck out of my house in high school to lie in the grass and stare and wish upon the stars. Of course we talked about the dearth of Romeos in our lives that night but we knew that one day we would find them. That's why when I photographed Callie and Kyle's wedding in Long Island, I rejoiced for her wishes coming true. Fast forward a few years and here we are in New England walking around an autumnal boarding school campus where they live and work, taking photos of their growing family. Like clockwork, Callie schedules me for her holiday card photos every year and every year I look forward to it. My heart is so full. I just got home from photographing the wedding of a dear friend Toby and his fiancee from Germany. This wedding ignited my passion for weddings even more. It was a simple and intimate ceremony but set in a gorgeous location surrounded by friends and family. Toby had been living in Germany and I hadn't seen him in years. I had never met his fiancee or his son, Liam, until the day of the wedding but that didn't stop me from tearing up during the ceremony! It was amazing to see how they had prepared so well for the moments ahead and chosen to keep it between family. They even set up FaceTime for her family in Germany to livestream the ceremony. They had their wedding bands made by local McTeigue & McClelland Jewelers. You could tell by their smiles and the way they looked at each other that they are ready for a life together. Those relationships are so beautiful. It's exactly that kind of devotion to each other that makes me appreciate life and photograph weddings. I'm so happy I got to be a part of the day and not only did the rain hold off but Germany won their game to advance in the FIFA World Cup! Scotland's finest cheese, that is. Perhaps a few other things as well but if you find yourself in Beeswing, Scotland, you must not drive past the cafe and farm store at Loch Arthur without stopping to visit. My family has a long history with the Camphill tradition and I worked in one for two years myself. Whenever I visit my grandparents in Gelston, we make a stop (or a few) at the cafe and visit with the legendary Barry and Rene who are the original forces behind the excellence. As many of you will know, we were recently nominated for the Scotsman Food and Drink Awards in the category of ‘Your Hidden Gem’. This was the only category that was put to a public vote and, although we were thrilled with the nomination, we didn’t rate our chances very high as we are not big on PR and Social Media - the channels through which public votes are generally amassed. And yet we won that category by, according to the judges, an overwhelming majority. In accepting the award, I spoke of the history and longevity of Loch Arthur and I dedicated it to Community, Social Enterprise, Longevity and to Dumfries & Galloway. -To Community ... because that is the underlying basis and foundation of all that we do at Loch Arthur. - To Social Enterprise ... because we constantly aspire to uphold the principles of the ‘Triple Bottom Line’ - People, Profit, Planet. -To Longevity ...because we have stuck with it and hung in there! - To Dumfries and Galloway ... because we are proud and delighted to do what we do in this wonderful region. TICKETS £30 Book soon to avoid disappointment. Thank you Loch Arthur for all you do and all that you make in support of them community! Cheers and blessings to you all in the coming New Year! Do you remember the first time you learned what it meant to be an orphan? I do. It was one of the awakening moments in my life where I realized that my life and opportunities were unique to me and it inspired me to think creatively how I could share those opportunities with children my age and fulfill some need that they had. When I encounter organizations like Indwe Learning Center it that process starts all over again. The world is sometimes so big and overwhelming but it can be made better and more connected when we engage with the stories that flow from those far off lands from the people who bring them to us. 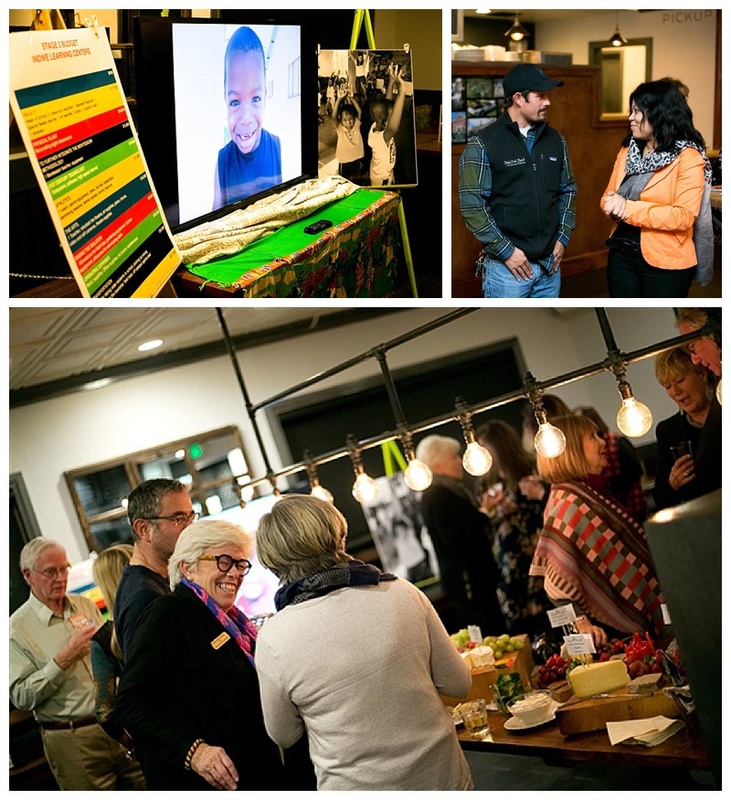 Indwe hosted a special event at the Marketplace Kitchen Table in Great Barrington, Massachusetts to share with the community about the school, raise awareness and funds for the mission. The once bustling cafe atmosphere was transformed into an intimate gathering of old and new friends who lent their ears and their time to connect with the needs of some special children thousands of miles away. Everyone enjoyed each hors d'oeuvre as it made rounds about the room. There was a pleasant hum of conversation and laughter throughout the evening. Charity doesn't have to be somber, you know? If you really think about it, giving to charity is an investment in the future of our world and that's cause to celebrate! Living in the Berkshires is sometimes a bit like living in a treasure hunt where unless you find the clues, you pass by the treasure. For the children in South Africa, the success of this event could have an enormous impact in their lives and yet one has to know that such an endeavor is being carried out to contribute. The Mission: "To provide a model learning center offering a quality education, including academics, life skills and real world experiences, for orphaned and vulnerable children in South Africa." The Name: Indwe, the Zulu word for blue crane, is the national bird of South Africa. This revered bird symbolizes patience, independence, determination, resourcefulness and versatility. The Indwe is the only bird to soar with its neck outstretched, looking toward the vision that lies ahead. The Need: As stated on the website of Indwe Learning Center: "Over 4 million orphans and vulnerable children have survived the AIDS pandemic in South Africa – and it’s where the need for help is most extraordinary...Education is the answer." The Program: It is a Montessori style education aiming to bring education, empowerment and engagement to children. The school is hosted adjacent to the Mother of Peace Orphanage in Illovo, South Africa. Learn more about the stories by reading the full article by local writer, Monica Bossinger, here. The Marketplace Kitchen Table is a restaurant/cafe located in Great Barrington, MA. "The delicious food you’ve come to expect, in a family-friendly, fast, casual restaurant. Stop in for a treat, dinner or espresso." Veronica was the only person who came to my fifth birthday party. I was only allowed to have one person over and she was who I chose. We met in preschool and were together almost every day through eighth grade. I didn't see her for several years between high school and college since I moved away and she lived in Boston but the minute we sat down with each other at Fiesta restaurant in Great Barrington we were right back where we left off years back. Yesterday I had the honor of photographing her engagement session with her fiancé Austin in Sheffield. We knew it was going to be cold but we didn't know how cold. It was 27 degrees fahrenheit to be exact. The sun helped warm us up and our commitment to the session never wavered! Veronica just had to take her gloves and jacket off a zillion times within the hour. It was worth every minute. I met Austin after he had been dating Veronica for a while and knew immediately that there was no better person for her than him. They both grew up in the Berkshires but didn't meet until Veronica was in college when they were set up by a mutual friend at a party. Sometimes I just have to shake my head at how good of a match these two are and I know it because Austin is also a good friend now. It is so much fun to photograph people who like to have fun with it. This is a girl who studied fashion and textiles at Mass Art so she always has thoughtful and creative outfits that I love. This is a guy who not only participates in the photo session but has ideas like the one above which makes me smile every time! These two are creative, healthy, driven and hilarious. My favorite thing about them as a couple is how they make each other laugh. Thank goodness it happens often and blesses those of us who are around them. Speaking of which, you must meet Jasper. Adorable rescue and beloved dog of the soon-to-be-Banachs. This dynamic duo is inspiring for all the things manage to do in their lives. Veronica is a full time teacher who has an online craft business called Every Daisy Creations and yet still has a spotless house, cooks and works out and gets to bed on time. Amazing! Austin is a chef and catering manager as well as a fitness coach who regularly meditates and still cooks at home without running out of passion for preparing food. It's no joke either, I've shared meals with them and it's better than a restaurant! I tell you these things because when it's easy to say "there are no good role models in healthy relationships" or "I don't have time to live a healthy life" yet their story is different. Health and relationships are two of the major challenges in our human lives yet we waste precious time thinking about what isn't working instead of looking at what is. These two are a great example of focusing on what you love. After six years of dating, Austin proposed on the top of Flag Rock in Housatonic, a spot that is special to their family. 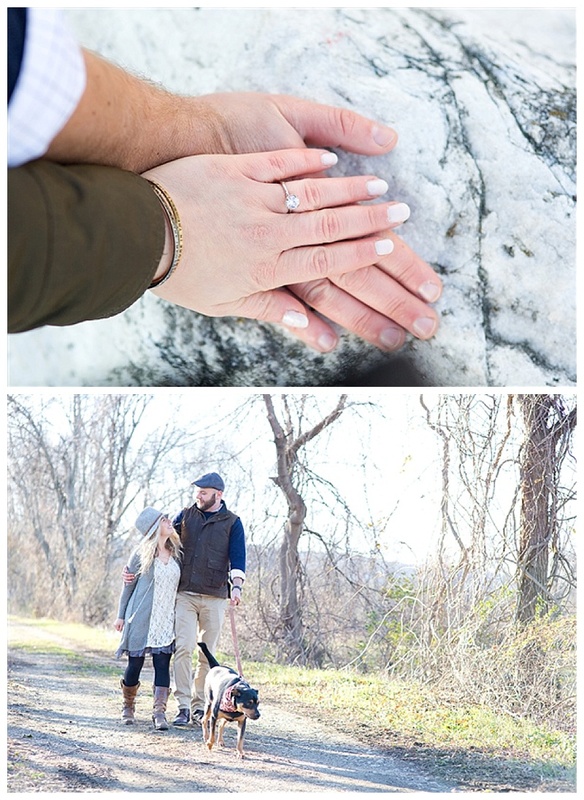 They are engaged to be married next fall and I am so excited to be their photographer. Sign up with your email address to receive love stories, promotions and updates. Please share the blog with others who you think may enjoy our stories. Cate and Jon met on the beach. He was a lifeguard and she was returning a book to someone else when they started talking. It was then that she took the gamble, but it was August 5th that they made it official. Destiny brought her from her home state of Minnesota to sunny Santa Cruz while Jon grew up in California. I was lucky enough to get to know them both at the beginning of their relationship and never questioned that they were meant for each other! One of the many amazing things about this union is not only the couple but the people by which they are surrounded. They were lucky to have the wedding on the grounds of Horse & Heart where they live. Horse & Heart is a fabulous organization lead by Cate's dear friend Lori Halliday. They practice and teach Natural Horsemanship and have rescued many horses. I was so excited to photograph everyone in their natural habitat on the hill. Having your wedding at your house is an incredible amount of work but also very convenient! I was amazed to see how the ranch was transformed for the wedding. During the rehearsal we could see the breathtaking view of the Monterey Bay. The view of the bay was obscured by fog for the wedding but the sun was shining on the ceremony and the hilltop felt like a whole world of it's own. It was a gift to be able to be there for Cate and Jon as their photographer because I love them both and getting to meet their wonderful families and friends made it an epic day to remember. On Monday I had the chance to photograph my high school advisor, soccer coach and friend Christie and her wonderful husband Ricky. We had scheduled the session and were excited for it but when it was time to leave, it started to downpour outside! I decided to leave anyway and have faith in the creative guidance that always shows up when I need it. The rain stopped when I got there and we started capturing their matching shirts in the beautiful diffused lighting of a cloudy day. I love Christie's laugh and Ricky makes her laugh a lot so it's a great combination! I always loved being around "Higgy" as we called her in High School because she has infectious energy and passion for her work and the people around her. When I met Ricky I knew they were the best of teams. Now they are adding a baby girl named Rainey to the mix and I can't wait to meet her. Miracle of miracles the sun came peeking through the tall trees and we trudged through the wet grass to bathe in it's glory for a few moments. These are the moments I wait for, live for and love. I was lucky enough to have film photography in high school and learn the ins and outs of the darkroom. I was resistant to so many aspects of film photography because I was impatient but now I have grown to have a profound respect for it and often crave developing with chemicals! The first photograph I took was a wedding party in Central Park in NYC. Ironically it was of a bride and groom being photographed.